The University of Washington School of Medicine has published the following information as a free public service. 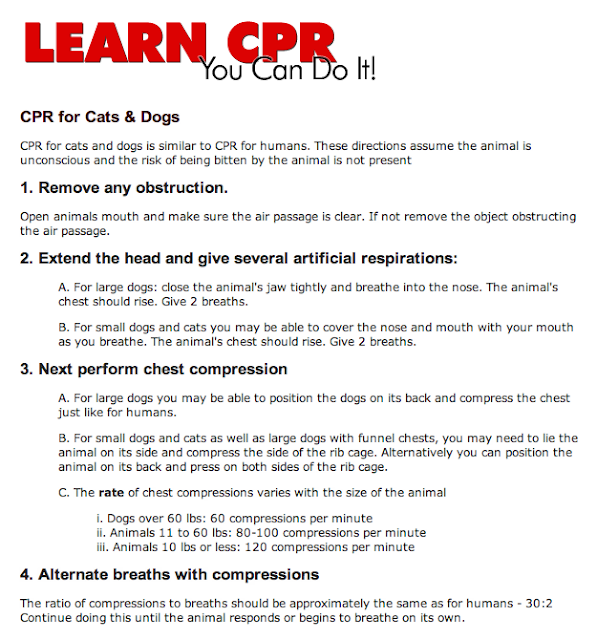 It provides a basic, high-level overview on how CPR is administered to a dog or a cat. Copyright © 2013, University of Washington School of Medicine. Used with permission. The University of Washington has a wonderfully extensive site on CPR in general that you can access here, complete with video demonstrations, information on choking victims, and a link to a free mobile training app. It can never replace real CPR or First Aid training. We join the University of Washington in urging you to try to attend a CPR training course in your community so that you're properly equipped to help save a life - animal or human. 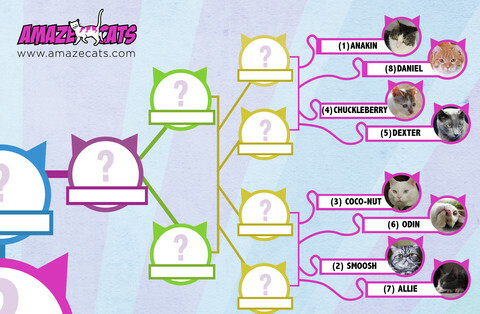 Allie's in today's Next Top Cat bracket playoff. The competition is fierce, so please - if you have a moment, click on the link below and give her your vote to she can move on to the next bracket! 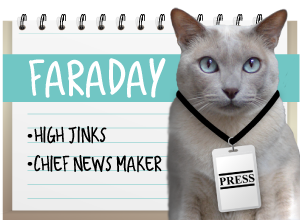 You only have until 2 PM Eastern tomorrow to cast your vote. Thank you from the bottom of our furry hearts! Mowzers! We wonder what's wrong - we'll hafta go check our settings! Thanks for telling us! We'd be scared to try CPR without going on a proper course. We voted. Have a marvellous Monday. THANK you for voting!! 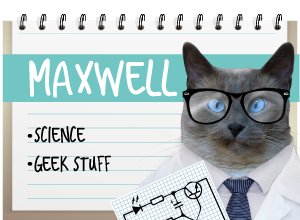 And we fixed the link now, so it should work! Hello. I just wanted to mention that some people are having trouble commenting here (obviously not me!) as all they see is a white box that won't let them comment. have you had any other problems along this line? Celestial Kitties mentioned it, and asked if someone could tell you. Thank you so much for stopping by to tell us! It's very nice to meet you too! Mommy attended two CPR courses before but she can't remember any of it now. Probably time for a refresher course. Thanks for the link! 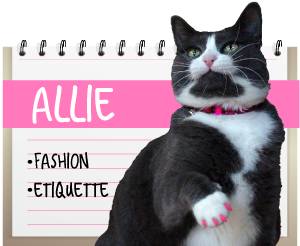 We've voted for Allie. Good luck! Oh my gosh, commenting problem fixed! There was an issue with my virus protection, just resolved that and decided to check if I could comment and here I am! It must have been from that! Thank you so much for being willing to help me comment! YAY! Oh good to see you back!! Aw, JJ, thanx for being willing to, though!! My human is considering taking a pet CPR course locally. She also needs a refresher in human CPR. Good CPR info , hope we never have to use it ! Thanks so muck. Dad is an RN and knows this stuff for hoomans but now he knows it fur us too!